I don’t want this post to be interpreted as “You should run a marathon.” Make no mistake about it, I know running a marathon is not for everybody. It has taken me almost two years to get to where I am in my running goals. But I would like to take a few minutes to reflect on last Sunday’s race. I will say that if you’ve never had the chance to cheer on a runner in a race, I hope you will be able to find a time to do that. For every race I have completed (any distance), I am grateful for the spectators who cheer for runners they don’t even know. When the race has your name printed on the bib, and a stranger calls out your name to encourage you, it’s a great feeling. Here are a few of the random thoughts that popped in my head during and after the marathon in Oklahoma City. Mile 1: I passed the Air Force staff sergeant in full uniform walking up a hill with his pack full of 168 pounds. There were also two groups of firefighters walking in full gear. Wow! Mile 10: Rain. Marathon, we have got to stop meeting this way. Mile 11: The 11th mile feels like forever. I even pass the 12 mile marker, and it takes me a few minutes to realize my Garmin is stopped at 11.3 miles. No wonder the 11th mile feels so long! I restart my timer and the rest of the race, I wear myself out mentally trying to figure my lost time. 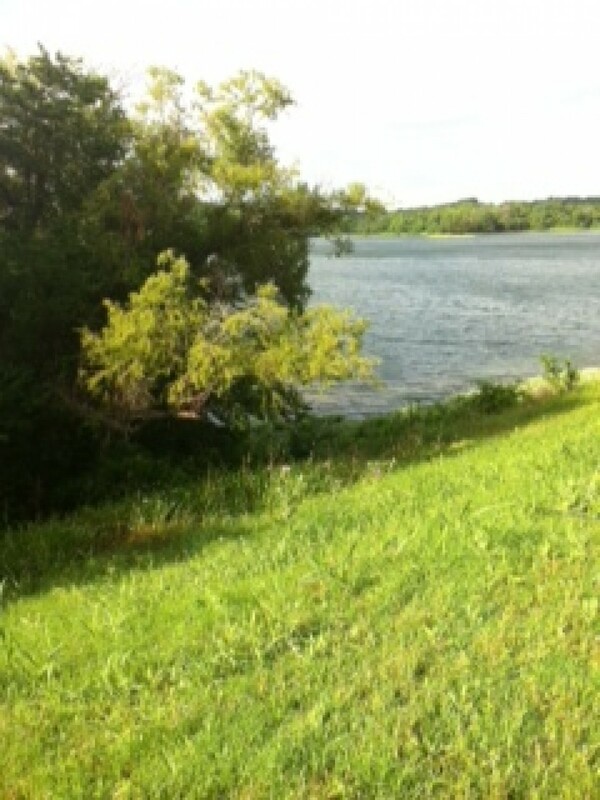 Mile 14: Running next to the lake – beautiful. Mile 16: Ugh, I feel like I’m going to throw up! Mile 21: I think I have my 2nd wind. Nope, it was just a slight breeze. Mile 23: I’ve decided that the people who say the last 6 miles is just mental – well, they are mental. I physically can’t move my legs any faster. Miles 24-25: I again pass the Air Force staff sergeant and one group of the firefighters (24-25). Emotional. Mile 26: Almost done. I try to speed up, because I want to be finished. Every step hurts, hurts, hurts. Finish line! I hear my name called out (advantage of not running in a pack). Yes, I’m done! Post race: I’m so glad to see my husband who keeps me upright. Thirty minutes later, I’m finally able to eat a banana and the nauseous feeling since mile 16 is gone. I am content with my time (4:32:11)considering the temperature and humidity factors. I probably could’ve gone under 4:30, but darn the porta potty stop at mile 12. It was a great course, and I will put the Oklahoma City National Memorial Marathon on my must do race list for next year.